Here’s another Icons piece, but this one I didn’t write. I was just interviewed about my thoughts on LaGuardia’s rebuild. As you can imagine, I was far more negative on it than the other person they interviewed… the person running the project for the Port Authority. Of course the project will make things better for travelers, but I still think it’s half-baked. For this year’s annual general meeting, IATA reached out to me and a couple others to record a brief clip to be played around the CEO panel about what we’d like the airlines to do. Specifically, we were told to finish the sentence “I wish airlines would…” Naturally, I took the snarky approach. I wish airlines would realise that the journey starts hours before I am in the seat, and ends hours after I leave it. And those not-in-the-seat hours in the US are fairly unpleasant, involving lots of noise, lots of queues, lots of waiting, being shouted at, manhandled etc. Why aren’t they doing anything about that? The answer is they will if you pony up the money. From PreCheck to now Clear you can essentially pay to skip lines, if you spri g for business class you can often skip the boarding queue and the baggage drop off, as well as hang out in a less crowded lounge. And if you want to be really fancy and you take first class on some carriers a personal attendant will be assigned to you along the whole way (airfrances la premiere is an example of this sort of one on one service). The short answer is they will for a price. The ‘I wish’ woman made sense about airlines talking about biz class and things the masses never experience. Airline execs might as well just put out ads saying you want to fly cheap we’re going to treat you like crap. At least they would be honest about it all then. Good article (and Cranky quotes) on LGA. Once the terminal is modernized, it then is all about local transport into/out of the airport. Hmmmm, a shutdown of LGA coupled with improvements at JFK could have made a whole lot of sense–IF (a big “if”) ground transportation to & from JFK was vastly improved. Speaking of LGA ground transportation, the contract for the NYC Airporter (the “airport express bus”) was recently shifted to a new operator. (This is the bus a solo traveler might use if carrying too much baggage to comfortably use the MTA public transit bus/subway combo). The hours of operation were cut back to 11am-7pm only and then only once per hour to and from LGA. This is less than 50% of the hours covered by the former operator (who also ran buses during peak hours every 15-20 minutes). This reduced schedule means the airport express bus cannot be used for departures before about 1pm (with first bus out of Manhattan about 11am) & for arrivals much after 6pm. Bottom line–the sharply reduced airport bus schedule makes this form of ground transportation impractical for many. A BIG STEP BACK courtesy of the Port Authority–now more & more single rider taxis/Uber/Lyft/car service clogging the roads around LGA and the NYC metro area. (I believe the same airport express bus service cutbacks also impact JFK). Is anybody in NYC serious about improving ground transportation beyond single rider automobiles???? 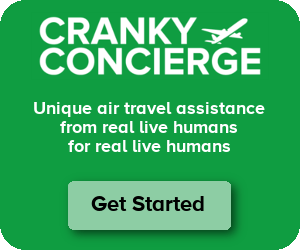 Cranky’s best comment was simply closing LaGuardia and making the investment at JFK. After 9/11, we had a chance to do that both in New York and Washington. No one did the logical thing. There is no way LGA can be anything more than what it is — a crappy little after-thought next to Riker’s Island. Bureaucrats being bureaucrats, they’ll come up with a hodge-podge way to deal with transit, not realizing real people’s time is worth money — and then complain when it is not used. My real fear is that like the Rahmfather’s ORD renovation in Chicago, the LGA renovation is more about creating public works jobs in an effort to throw pork at unions in advance of an election than it is a means of fixing long-term regional air transport problems.